Finally found the beach of my dream! 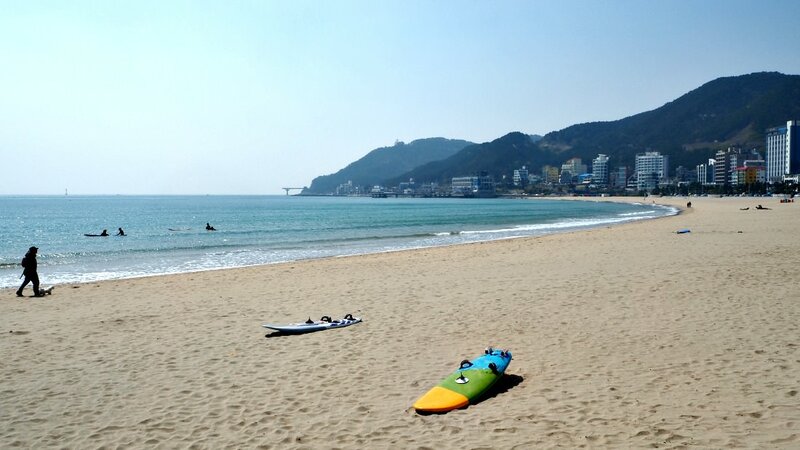 Songjeong Beach Area is a beautiful place. That is why I fell in love with it. Let me count the ways below. But before I reveal the reasons, let me say that good things, and anything with value is usually hard to find. Moreover, anything that you get quickly without efforts… “Easy come easy go,” as the saying goes. What I am saying is that I found or reached this place in a hard way as there is no ‘easy’ way to get there. The place is a bit secluded, and not many public transports go there. But don’t worry as you can get here much easier than I did! I came on foot. I walked from Haedong Yonggungsa Temple passing and exploring other sights along the way. What is truly mind-blowing is the view of the sea that never leaves your sight, and that guided me to this place. 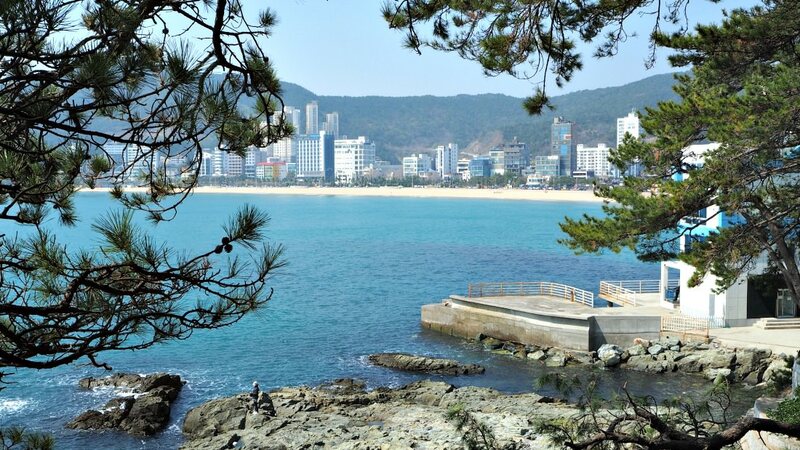 Yes, when I first laid my eyes on the beach from Yukdo Park’s hill, I thought I was seeing a modern paradise (because of the structures behind the beach area). It was a fantastic view. The sand stretches from one end to the other seamlessly. After taking and making sure I took enough photos from a distance, I walked towards the beach area and started retaking photos, and again. The grain of sand is perfect! I could imagine how the visitors enjoy the comfort of the soft sand of this beach during summer time. The turquoise water that completes that view was also a sight to remember. Obviously, there is no beach without any of the two--sandy area and seawater! Another reason why I love the area is that it does not look chocking or crowded. I mean, the buildings and facilities (e.g., hotels, shops) are not huge nor too tall. The structures did not overpower the natural views and beauty of the beach and sea. What’s more, is the enchanting presence of the mountains behind the beach area that seem to serve as backdrops. I did have a look from the sea, but I am sure it would be a great view! I would instead enjoy this place again when it is not crowded. It is precisely during this early spring that I prefer to stay and relish my experience here. Yes, you can definitely have various choices of hotels and another accommodation type during your stay. High-end hotels and discount accommodations are available at reasonable rates. For one, I saw surfing shops displaying their surfboards. And I saw some newbies learning how to maneuver the surfboard--some in the water and some still on the dry sandy area of the beach. Of course, you don’t need to worry about enjoying your favorite Latte or Cappuccino. 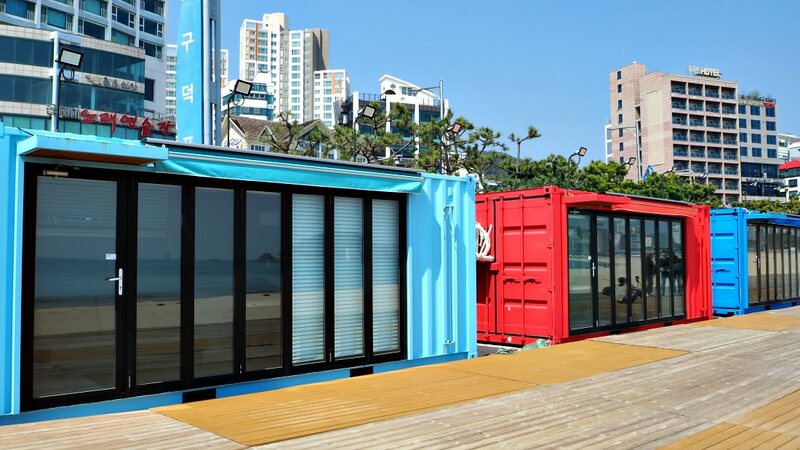 Songjeong Beach area is dotted with cafes, coffee shops, and even convenient stores for cheaper caffeine products. Restaurants are also available nearby the beach. You can also find them dotted along the seaside if you walk on either opposite ends of the beach area. It would be best if you tried the fresh seafood at these restaurants (unfortunate for those allergic). Of course, you can find some vegetarian food at some places, or order it especially by requesting to remove the juicy meat products. Again, I mentioned that I arrived here on foot from the nearby Haedong Yonggungsa Temple, another popular travel destination. Take Subway Line 1 for Busan Station then Exit 8 or Exit 10. From any of these exits, take any of the following buses: 1001, 1003, 40. 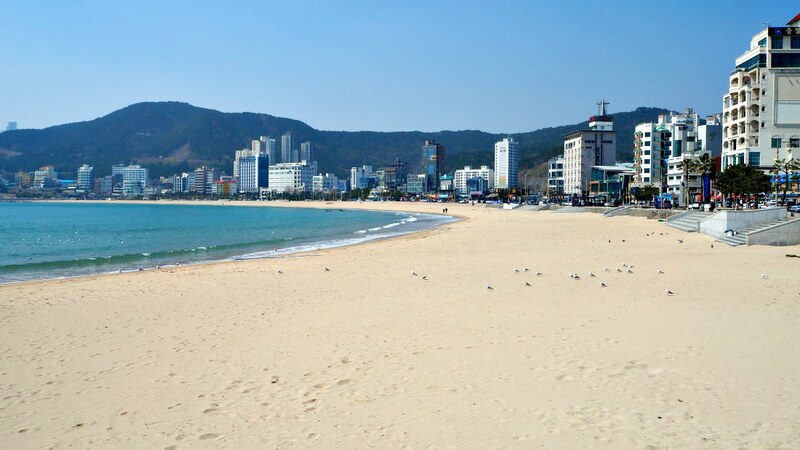 Then get off at Songjeong Beach Bus Stop. It may take around an hour to get there. From Haeundae Subway Line 1, go to Exit 8 or Exit 10 then take any of these buses: 39, 63, 100, 181. Then got off at Songjeong Bech Bus Stop. 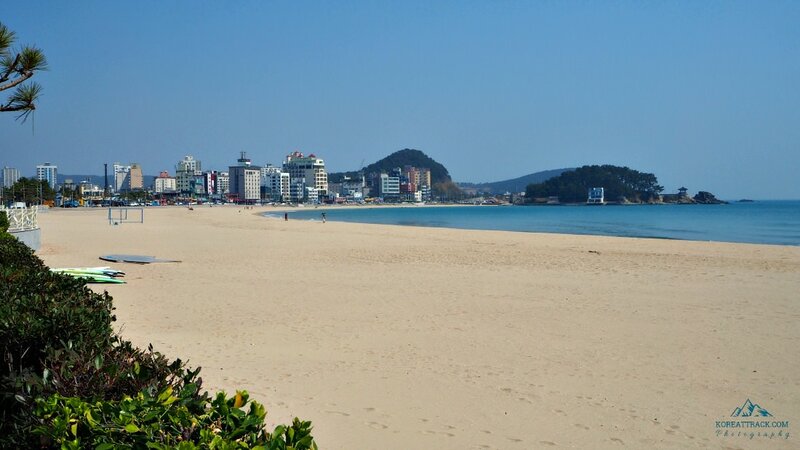 See more information about Seongjeong Beach here. You may also come here taking a taxi or car. I promised myself that I will be back and ready to fully experience its beauty and anything else it offers which I did not discover during this first visit. Fingers crossed! Thanks very much for visiting this page and I hope this is useful for your travel search.